Is this little girl just the sweetest thing ever? I stumbled upon a digital stamp company earlier this week and had to try out a few. The website is JustSomeLines.com and I love her artwork! To bring this little gal to life, I used Copic markers, paper piecing and some glitter pens. She was super easy to color. I am still learning how to use my Copics and am determined to learn the techniques that make images look so very real. 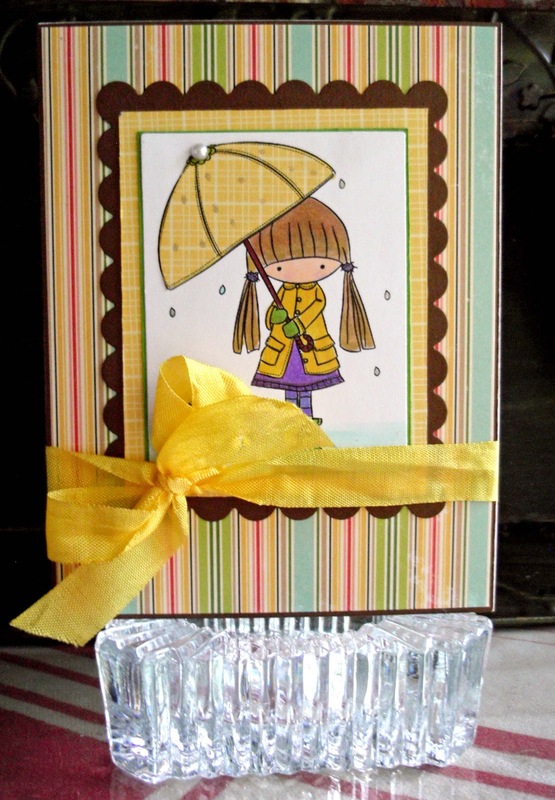 The first die I used was a small rectangle which I matted a few times. Then I used a scallopped rectangle to anchor the image. I think adding the yellow bow just made it perfect! I hope you will check out this fun digital stamp website. I would love to see a card you've made using one of her creations. 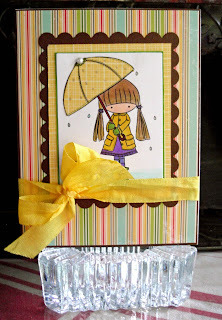 I'll be back tomorrow with a card using a fun My Favorite Things stamp.